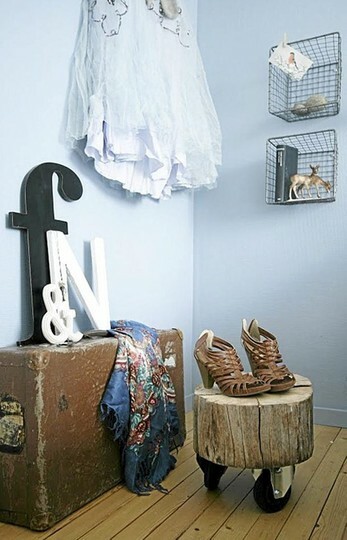 In my online stump explorations I have found many inspiring photos of DIY ideas. Start with this bright and summery room on Curbly. This example has left the sides weathered but sealed the tops with white enamel. Although I love the white aesthetic that is so popular now I really wouldn't want to clean a house that features this trend. For a design trend to make its way into my home it must also be easy to keep clean. And my kids have flown the nest. I can't imagine it with children. Example 2 comes from The Art of Doing Stuff and includes a helpful tutorial. Karen posted about her stump table but she added IKEA legs. 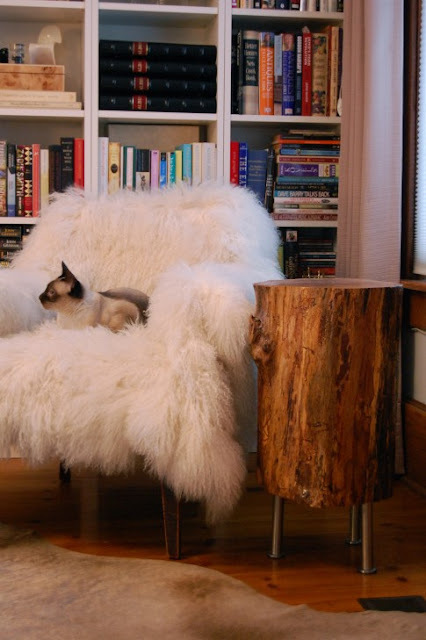 Not sure if I like the addition although it may be the furry white throw that is making me steer away from this approach. This next one comes from Thrifty and Chic. 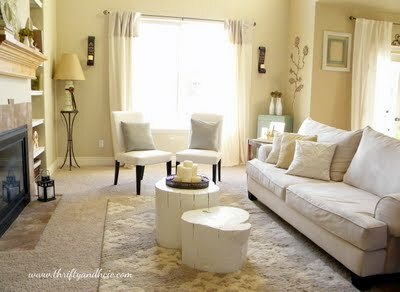 It has successfully combined the natural, rustic ambiance of stump furniture in a more traditional living room setting. It again has the living with white issue. 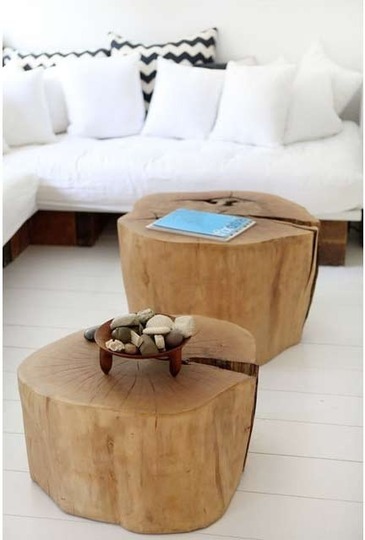 Apartment Therapy did a post on tree stump furniture and included some great photos. The first one from Klikk is a great combination of rustic and industrial. I still think I like the most natural best. (from lalalovely). Right now, I'll keep looking!